Fire and blast protective solutions are of lifesaving importance in high risk industries such as the oil & gas industry, offshore wind industry, and the infra & defense industry. Although most fire and blast protective solutions are continuously being evolved and assessed, there is still a need for innovation and further development in order to lower environmental impacts, add high value for organization and their projects, and reduce costs. I will shed a light on the most recent innovations for fire and blast protective solutions in this article. 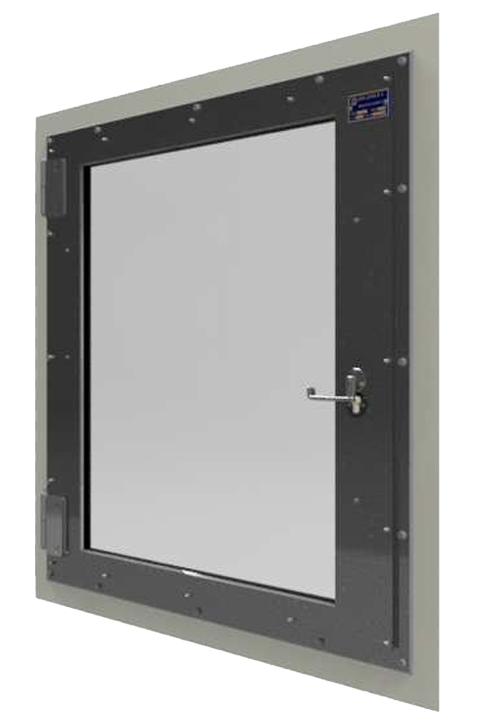 Sandwich walls, escape hatches, UL certified doors and watertight doors are products which have been engineered according to the needs and wishes of the market in terms of lightweight solutions, fire and blast ratings, cost-effectiveness and compliance to (inter-)national rules and regulations. Sandwich wall systems are specialized cladding systems consisting of three layers; one thick core layer of low average strength and density and two outer metal plates. The thick center is an insulating core and is generally made out of mineral wool. The two outer plates are made of steel, which provides the best protection. The three layers are connected to each other through specialized adhesives. 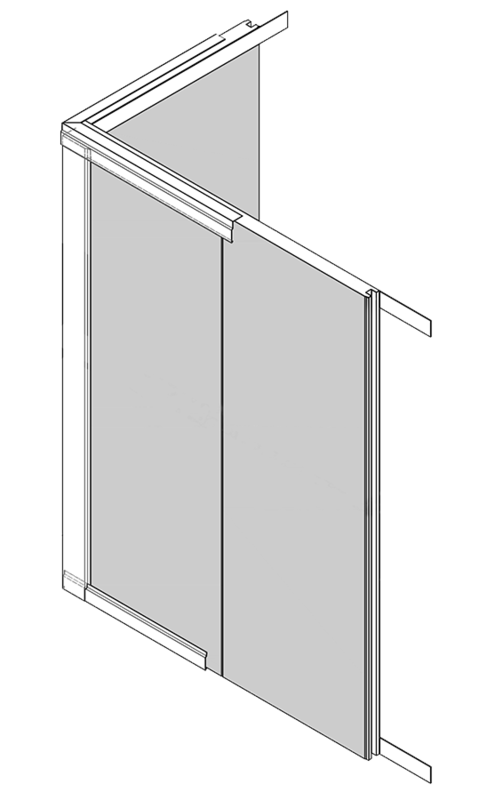 Sandwich panels are often used for external and internal architectural cladding and/or partitioning. These panels can be applied in the onshore and offshore oil & gas industry, wind energy industry and the infra & defense industry. Due to its lightweight characteristic a sandwich panel saves a lot of weight on the applied structure. The inner core of insulation and the thin plates have an approximate weight of 21 kg/m2 at 100 mm panel thickness. Because of its lightweight, the panels can be transported and installed very effectively and efficiently. Consequently, it saves you a lot of time and labor costs. The mineral wool insulation provides good thermal protection. Thermal insulation is important because it allows for temperature regulation inside the compartments. Temperature is kept at a comfortable level in order to provide a pleasant working environment for personnel. The insulation is required to be non-combustible to ensure fire safety. Non-combustible materials withstand the spread of fire and therefore are processed into the insulation material. There are a lot of different scenarios to think about and thoroughly consider when managing the risk of fire outbreaks on an offshore platform. Escape hatches are of life-saving importance in such structures. Like regular windows, they allow more natural light into cabins yet at the same time provide a safe escape route for personnel in case of fire. Regular windows on offshore platforms cannot be opened in order to maintain safety. Escape hatches can be opened, but should only be used during emergencies. These hatches ensure extra safety when doors fail to operate during fire events and/or explosions. Therefore, it is important that the clear opening of the hatch is big enough for people to pass through to be evacuated safely. The recommendation in this regard is a maximum clear opening of 1.000 x 1.000 mm. UL certified products, such as doors, are especially significant on onshore structures in America and the Middle East. The main goals for UL certified fire doors are to prevent the spread of fire and smoke within a structure, to allow safe evacuation of people, and to provide passage on a daily basis. Compartmentalization in passive fire protection is realized by dividing the onshore oil and gas structure into segments. This is realized with fire and blast protective walls, door and windows. Each section needs to be carefully assessed in order to decide which fire rating each of them need. Once you have decided on the fire rating per section, you can make a selection of products which comply to it. The table shows that the higher the temperature, the more time a door is required to withstand and contain the fire. During each specific time, the door must remain operable and keep providing safety. When required by project specifications, a hose stream test can be conducted. The hose stream serves as an indicator for the reliability of the material to perform its intended function. During a hose stream test a product is placed in a furnace heated to e.g. 892ºC for 45 minutes, and higher temperatures for longer ratings. Additionally, water is delivered via a hose stream from 6 meters away with a force of 57.7 lbf at 30 psi and 86.6 lbf at 45 psi. If the product remains intact without exceeding the tolerable openings, it passes the test. Fire and blast protective architectural doors can have additional features in order to protect against other sorts of risks. Water tightness is one of such an additional feature. Watertight doors prevent the ingress of water from one area to another during flooding or accidents. 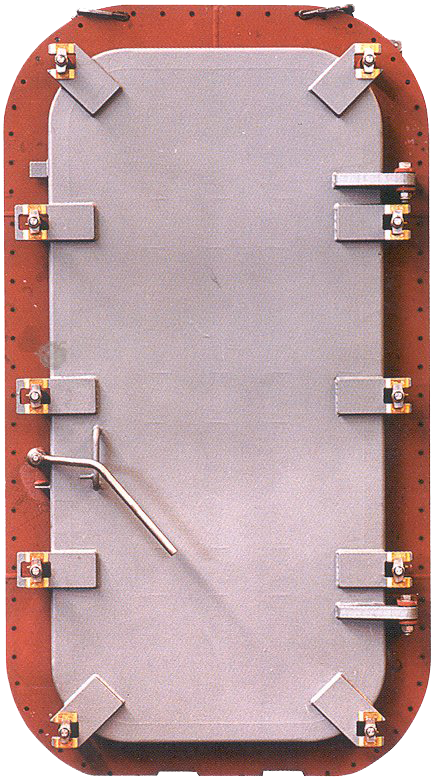 The doors are used on onshore or offshore structures where flooding risks are high and on (defense) ships. certain watertight door may remain open only if considered absolutely necessary. This will be determined by the SOLAS Administration. 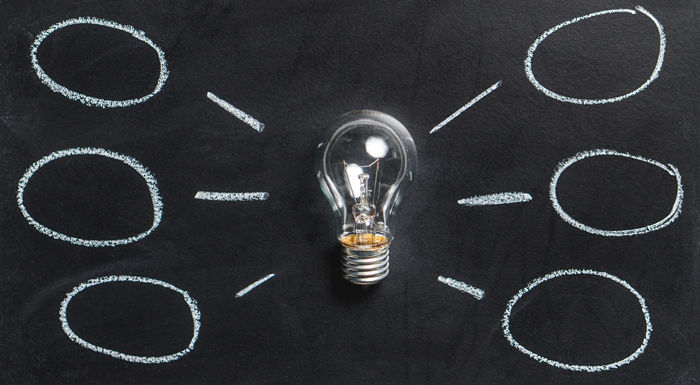 Continuous innovation is of key importance to stay ahead of competition and to find solutions for problems from within the various markets and industries. In a world where technological advancement creates efficiency and lowers costs, Van Dam keeps on catering to the needs companies by developing innovative products. Want to know more about innovative products at Van Dam? Download our eBook about our product range! Ted is a customer-oriented manager of sales and general manager of Van Dam Asia. He understands the challenges and goals of his customers within the Asian market and bases his advice on solutions on his strong experience and expertise in the field. 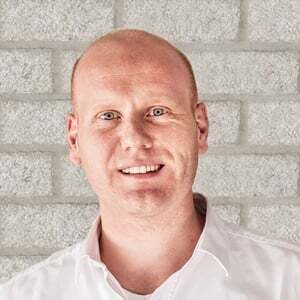 He has been responsible for the set-up of some great projects and he and his team remain dedicated to delivering the best guidance to the key clients around the world.